Central San Jose, California is a vibrant area filled with many good places to eat breakfast and brunch. From cafés to bakeries, there is a great place to eat the most important meal of the day in central San Jose. Read on to discover the best places to get breakfast and brunch in central San Jose. iJava Café was the first coffeehouse in the small Delmas Park neighborhood of downtown San Jose, and still serves good breakfast and other eats to visitors today. Everything on the menu is affordable and breakfast is served all day. iJava Café displays local art on the walls, adding to the café’s fresh vibe, as well as helping the local artist community by selling their work. They serve substantial foods like breakfast burritos and waffles, as well as a variety of coffee drinks. Right next to San Jose State University, Peanuts Delux Café is a cozy diner that serves breakfast and brunch to college students and San Jose residents alike. For breakfast, they serve the traditional combinations of bacon, eggs, and sausages, as well as a variety of omelets like their avocado, tomato, bacon, and cheese omelet as well as a mushroom and cheese omelet. All breakfast items come with hot hash browns and toast. Be warned: this diner only takes cash. Las Cazuela’s is an authentic Mexican restaurant on Race Street in downtown San Jose that serves traditional Mexican items for breakfast, or ‘desayuno’ as it is called. 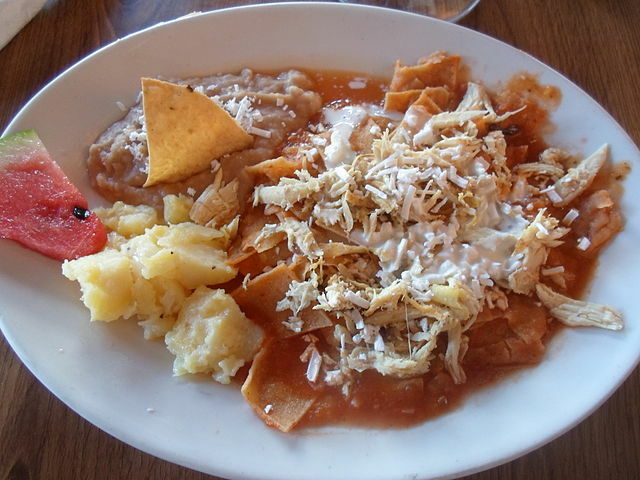 All breakfast items are served with rice and beans and a tortilla. 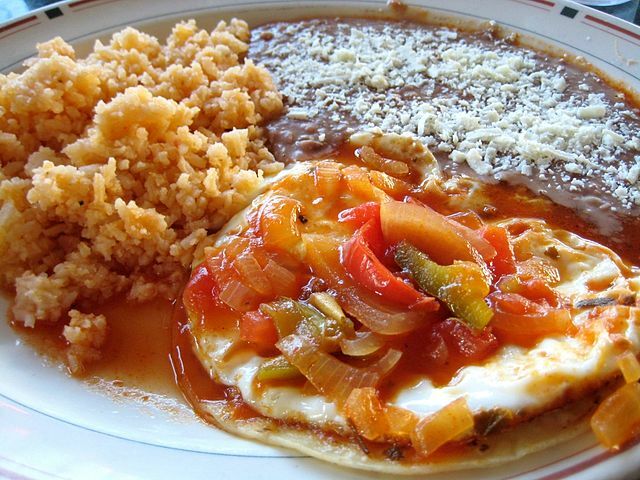 For breakfast, Las Cazuela’s serves egg, or ‘huevos,’ dishes like huevos rancheros, huevos con chorizo, and huevos con bacon or ham, as well as chilaquiles and breakfast burritos. Customers at Las Cazuela’s can sit inside the colorful eatery or outside on the patio. 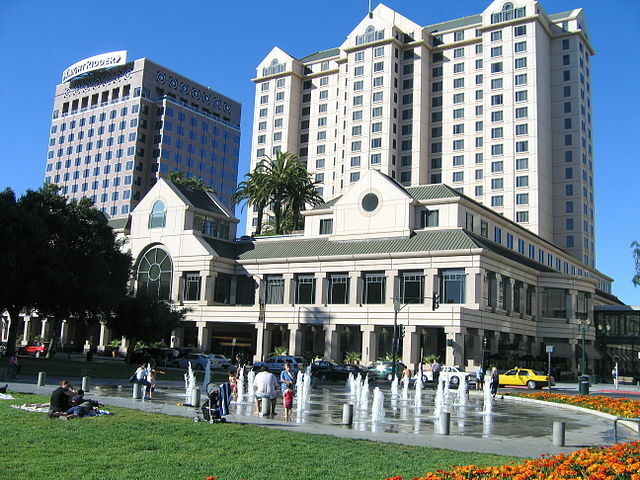 Right next to the Plaza de Cezar Chavez Park and across from the San Jose Museum of Art, Fountain Restaurant is a restaurant located inside the San Jose Fairmont Hotel. On weekdays and Saturdays, the Fountain Restaurant has a breakfast buffet as well as breakfast and lunch, as well as brunch on Sundays. For breakfast, Fountain serves items such as eggs Benedict, waffles, French toast, oatmeals, and various pastries. All of the items at Fountain Restaurant are displayed beautifully, to complete your dining experience. Flames Eatery and Bar is a classy and modern American diner located right next to San Jose State University. They serve breakfast all day, including popular dishes such as breakfast sundaes, oatmeal, cooked eggs in any style, breakfast pizza, hash, chicken fried steak, waffles, pancakes, and omelets. Flames serves a variety of French toast with creative flavors like caramel banana, ‘cinnamonster,’ croissant French toast, and bread pudding French toast. On ‘Sunday Funday,’ as Flames Eatery and Bar calls it, Flames Bar offers bottomless mimosas for only 12 dollars. Café Rosalena, right on The Alameda street in San Jose, is a Mexican American joint that serves breakfast all day. Café Rosalena is known for their signature orange salsa, a home made, secret ingredient filled concoction that goes well with every item on their menu. The café also offers other home made salsas to go with their dishes. 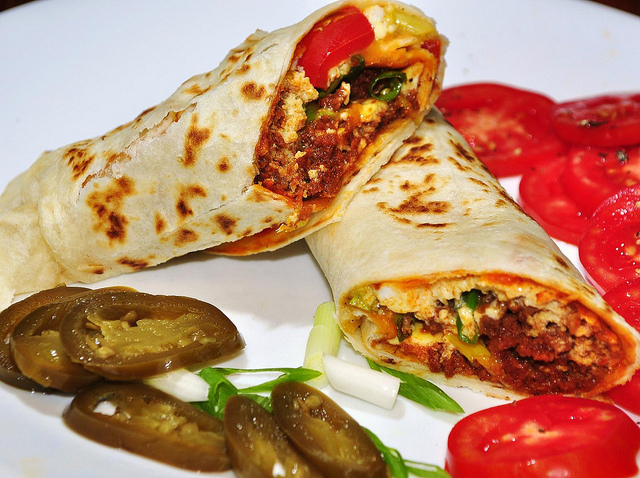 For breakfast, the restaurant offers a variety of breakfast burritos, such as their chorizo burrito, veggie florentine burrito, or bacon burrito. Customers even have the opportunity to build their own breakfast burrito. Located right next to San Jose State University, Café Pomegranate is a Persian, Mexican, Californian, and Mediterranean fusion joint that is perfect for breakfast, brunch, or lunch on the weekdays. Café Pomegranate’s chef uses mostly local and seasonal ingredients to create some of their popular breakfast items such as their various versions of bagel sandwiches, chilaquiles, various types of omelets, waffles, huevos rancheros, and breakfast burritos. Café Pomegranate is beloved by San Jose’s vegetarian population, as the restaurant has many meat-free meals on its menu. Día de Pesca is a Mexican Seafood restaurant, but the staff at Día de Pesca calls it ‘sí food.’ In the mornings, Día de Pesca serves a large breakfast, with many items including breakfast burritos, breakfast quesadillas, chilaquiles, a ‘sí food’ omelet as well as other types of omelets and egg scrambles, and pancakes. To go with their breakfast and lunch dishes, Día de Pesca offers espressos, coffee, tea, and beer, as well as mimosas and sangrias. Right across the street from the Plaza de Cezar Chavez Park as well as the San Jose Civic and Montgomery Theaters, Il Fornaio is an Italian restaurant that serves a full breakfast. Il Fornaio has a bakery where they bake breads and other pastries on site. 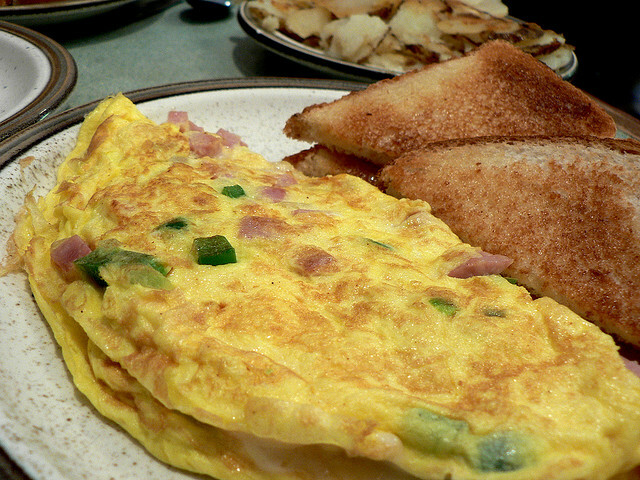 For breakfast, they serve egg dishes such as a variety of omelets, as well as poached eggs or eggs of any other style with other traditional breakfast sides like apple wood smoked bacon. Il Fornaio also serves traditional breakfast favorites like pancakes. A block away from San Jose State University, Whispers Café and Creperie is a friendly local haunt that is known for serving its breakfast items and crepes all day long. 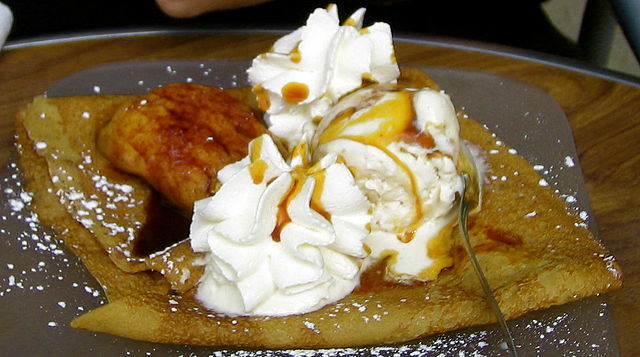 They make sweet crepes like Nutella crepes, crepes with honey orange glaze and peaches, and crepes with brown sugar, caramelized walnuts, bananas and caramel sauce, as well as savory crepes with cheese, sausage, curry seasoned chicken breast, and vegetables. In addition to crepes, Whispers serves other breakfast classics like eggs Benedict, pancakes, waffles, and french toast.